Dr Michael Wu has been performing Lower Limb Bypass Surgery in Melbourne for over 15 years. What is Lower Limb Bypass Surgery? Lower Limb Bypass Surgery is a procedure during narrowed or enlarged arteries are treated by directly creating a detour (known as bypass), around a section of the artery that is blocked or enlarged. Arteries in the body are normally smooth and unobstructed on the inside but they can become blocked through a process of hardening of the arterial walls, known as atherosclerosis. The older you get, the more sticky substance, called plaque, can build up in the walls of your arteries. Plague is made up of cholesterol, calcium and fibrous tissue. As more and more plaque builds up, your arteries become stiff and narrow. Eventually, as the process progresses, your blood vessels can no longer supply the oxygen demands of your organs or muscles, and symptoms may worsen over time. When do you need Lower Limb Bypass Surgery? If you experience any of the symptoms of atherosclerosis, you may be a candidate for bypass surgery. Symptoms can range from pain in the arms or legs during activity, which usually goes away after rest, to the development of non-healing ulcers or gangrene (tissue death) in the most severe cases. During a bypass procedure a new pathway for blood flow is formed using a graft. A graft can be a small part of one of your veins or a man-made synthetic tube that is connected above and below a blockage to allow blood to pass around it through the bypass. First, the vein that will serve as a bypass for your artery is selected and removed. Normally it is your greater saphenous vein (GSV), if it is suitable, which runs underneath your skin between your foot and your groin. Sometimes surgeons need to use another vein or a synthetic fabric artery for the graft if your GSV is unavailable or is not in a good condition. Normally for the procedure you will receive general or regional anaesthesia. How long is the recovery of Lower Limb Bypass Surgery? After surgery, your hospital stay may range from about 3 to 10 days. Doctors will remove staples or stitches from the small incisions, usually about 1 to 2 weeks after your operation, after you leave the hospital. What are the Post-Operative Period and Follow-up care needed? Because blockages in the leg arteries extend over a considerable length, long incisions are often required, and various problems related to the healing of these wounds can occur in up to 20 percent of patients. These are often minor complications that may require dressings or antibiotics at home, but some can be more serious and lead to prolonged hospitalisation or additional procedures. Like all surgical procedures, leg bypass surgery carries significant risks including heart attacks, blood clots, infections and even death in 2 to 3 percent of patients. 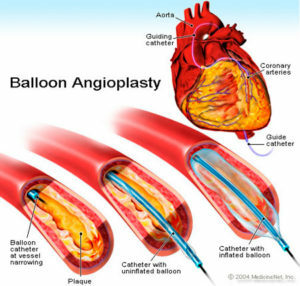 Patients with advanced PAD have a high frequency of significant heart disease, so a thorough evaluation for cardiac problems and a careful review of medical therapies is required prior to surgery.